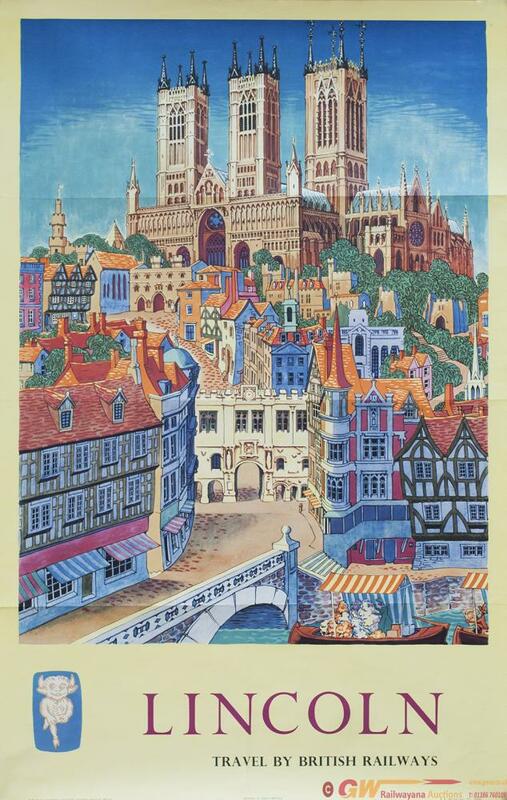 Poster BR LINCOLN TRAVEL BY BRITISH RAILWAYS by Kerry Lee. Double Royal 25in x 40in. In good condition with Folds.